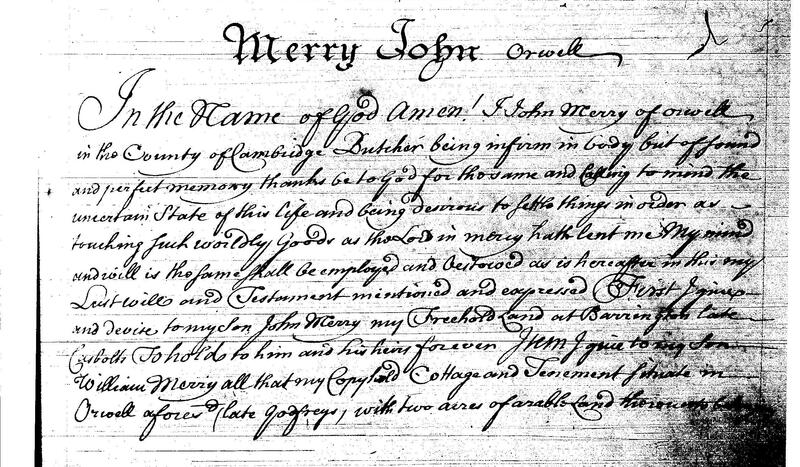 "Executors they paying and receiving all my debts and Legacys and bringing my body decently to the ground to be buried in good Christian like manner "
It would appear that John Merry has had a very successful life as a butcher. 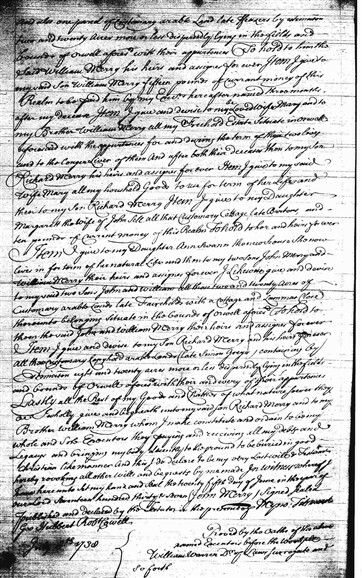 He has bought up a considerable landholding from several different owners, and is able to give his daughter Anne Swann a new house, and his other daughter the house 'late Bartons.' This other daughter has married John Sell, a name which is still current in the nearby village of Bassingbourn. Bartons cottage is shown on the 1686 map of Orwell as being on the corner of the track up to the Clunch Pit. The cottage now there is known as "Well Cottage." Much of the other land mentioned in the Will, however, is arable. 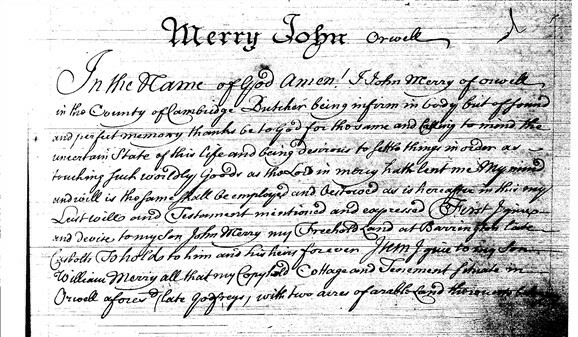 John must have been an arable farmer in quite a big way as well as a butcher. It looks as if the two sons John and William are intended to take over the farming business, while son Richard gets the butchery side. It might be possible to confirm this if there are any wills of these boys held at the record office. 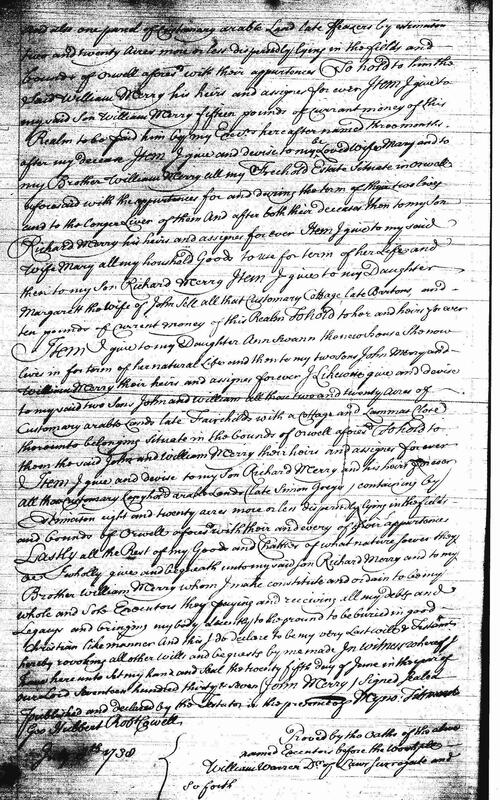 Transcript of the Will of John Merry, butcher, 1738. July 5th 1738 Proved by all the Executors. This page was added by David Miller on 25/03/2013.